For better or worse, travelling to distant planets and stars exists only on the pages of science fiction and in Hollywood film industry. Although the possibility of space tourism crept close, yet, Jupiter and Saturn are still way not close. Nevertheless, from long ago there are special objects that seem to shrink the universe making it accessible. We are talking about planetariums and observatories. 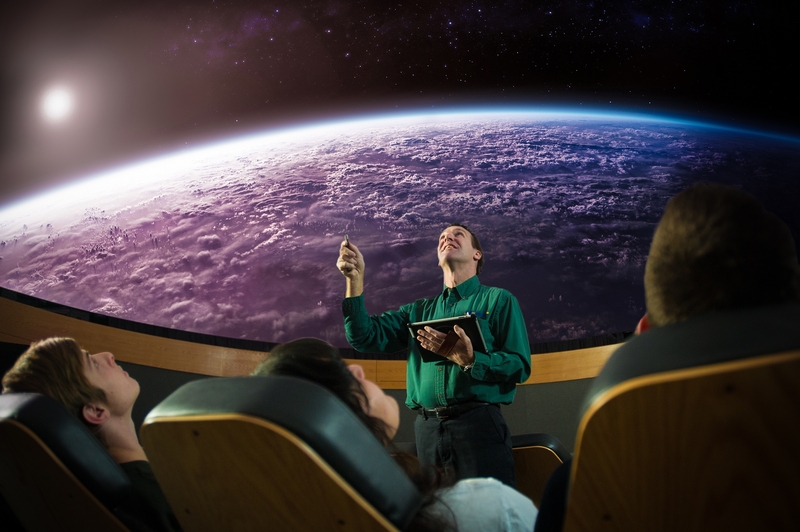 It is worth saying that the very first planetarium is nowadays almost the most luxurious one. It was built in 1923 in Munich, Germany and placed inside the building of a local museum. The Carl Zeiss Company has created a special unit Zeiss 1 able to send the visitors to other worlds. Today the Bavarians and tourists enjoy work of model Zeiss M1015, and the "pioneer", by the way, is kept in the museum. Following the Munich, planetarium obsession engulfed the whole world. And it approached the USSR. In 1929 in Moscow was built planetarium in the shape of an egg, which immediately gained public affection. The Russian poet Vladimir Mayakovsky wrote: "Proletarian, proletarian, go to the planetarium...". During its more than 80-year history the object has seen much: it hosted astronomical sites, scientific researches, and in unstable 90s it almost sunk into oblivion - the land was in litigation for 17 years, as cunning businessmen planned to build an entertainment centre on the planetarium site. Fortunately, it was defended, and in 2011 opened its doors to the public after an extensive renovation. Now it has plenty to offer from the museum with meteorites fragments to the ultramodern 4-D Cinema. At the other end of the Earth, in New York, operates the famous planetarium or sphere Hayden. This object is unique both in form and content, and its guests always get maximum pleasure from the spectacle. In the local theatre they can watch the distant stars at high definition. And to leverage the effect, the four-minute program reproduces the Big Bang. In other parts of the planetarium you can learn both terrestrial processes (movement of tectonic plates, climate, geology), and space movements (formation of planets, galaxies). And it is hard to go past the scales showing your weight on the Moon. 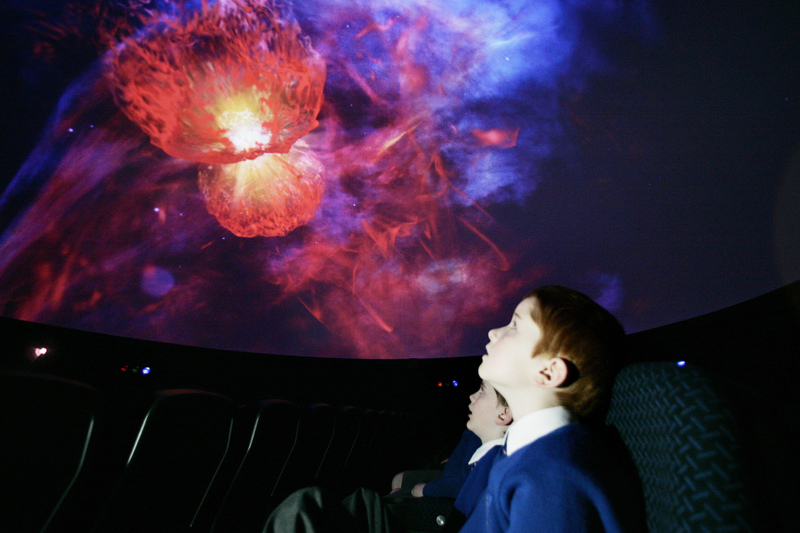 The Finnish Science Centre Heureka located near the city of Helsinki is probably the most interactive planetarium in the world. Its visitors can gaze at stars and are also transferred to other observatories. To spend time there and not to enjoy oneself is a plain waste, because the place features an extensive array of on-site attractions. Particular attention is paid to the education of children. In addition to the starry sky, child can see a basketball game between... rats, and even more – kids marvel a ride on the lunar swing with help of space suit and cable. Meanwhile, adults may do as much as to set up the telescope and measure the temperature of stars. Eventually, not in vain Heureka is referred to as the Europe space laboratory. Chinese observatories captivate visitors not only by cutting-edge technology, but also by their size. 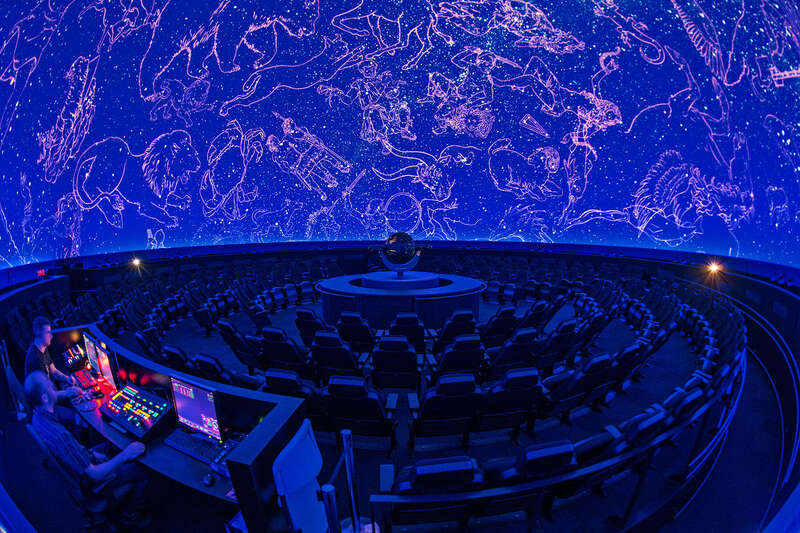 Beijing planetarium after a relatively recent renovation can simultaneously accept 600 visitors, who can now enjoy the advanced movies fuelled with various effects: occasionally spray of water, air flow coming from under the seat. All that is done for a full "immersion" of the viewer. By the way, the spot often holds open door events for youngsters thus stimulating interest for science: at night free shows of nebulae and comets outbreaks with optical telescopes are the most accurate. Australian observatory Boolardy does not conduct such events, but it is difficult to overestimate its importance for humanity. Its tentacles in the desert do not pump water, as it may seem at first glance. Thanks to this radio telescope, scientists around the world are studying solar activity. By the way, amazing design is fully static – it is devoid of any moving parts. That is why it catches indicators of the star named the Sun. Among the observatories there are real "grandfathers". For instance, Israeli city of Givatayim is a home for almost the oldest planetarium. However, age does not prevent it from playing an important role in the study of the space, as its equipment is constantly updated. By the way, this is where in 1992 astronomer Ofer Gabzo set a world record with over 22,000 observations in one year. And one more achievement of the planetarium: in 2001 local scientists first photographed the Rotten Egg Nebula. And finally Warsaw planetarium named the Heavens of Copernicus. On the map of places designed for space surveillance, it appeared as recently as 2011. The object is notable for allowing to contemplate 20 million stars. And this is despite the fact that the average for the other modern planetarium is just 200 thousand of stars. The creation of this miracle the government has allocated around 4 million Euros. Today, the Heavens of Copernicus is not only the opportunity to study space, but also a place for research of ancient civilizations, sinking to the bottom of the ocean, visiting the Pyramids. All that achieved thanks to the state-of-the-art technology creating the effect of presence.